Bangor saw a lot of changes in 2012 and if you have ideas for more, consider stopping by Nocturnem Draft Haus on Tuesday, January 8th at 7pm. Spark! 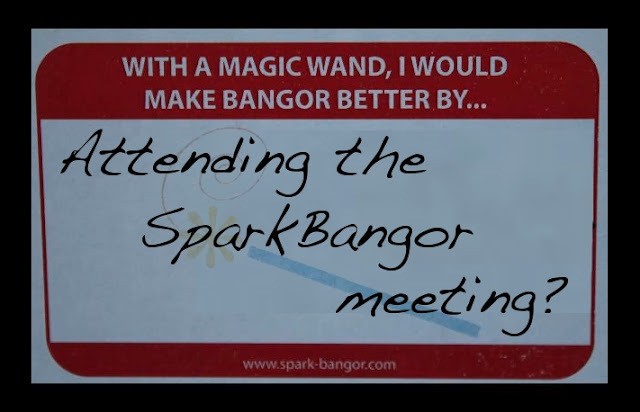 Bangor is hosting a gathering to brainstorm ways of putting to action some of the "Make Bangor Better" ideas submitted by the community at the last Downtown Bangor Artwalk. Keep in mind that the Spark! Bangor facebook page strictly states - No Negative Nellies!